The GBC Dirt Devil XT tires feature a wider spaced and deeper tread design over the Dirt Devil AT. 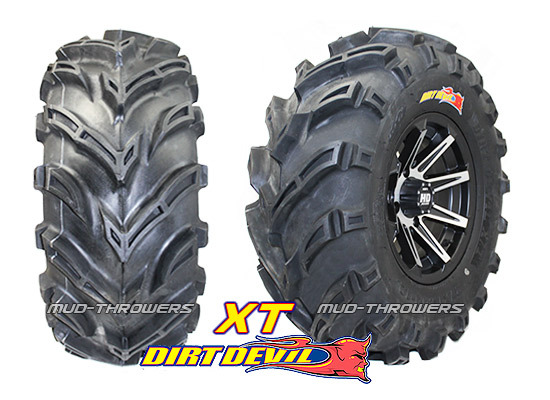 The Dirt Devil XT ATV tires have a wicked tread pattern which is are more aggressive and better suited for intermediate and mud terrain. The tread spacing is greater than that on the ATV version, but less than the GBC Gator tire.